I finished up a few little things that needed finishing. The rainbow stroller blanket is totally finished with all the ends woven in. 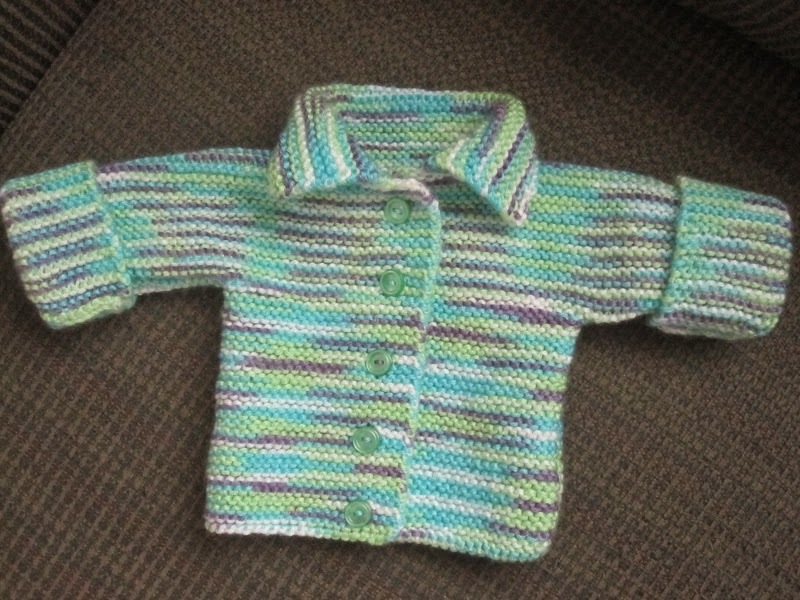 The pattern is from Lion Brand Yarns and is called Lemon Squeezy Stroller Blanket. A little sweater in variegated yarn. (I just love the colours.) The pattern was from Mary Maxim as part of a kit. 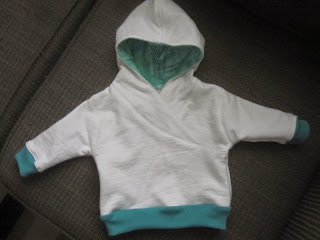 And a cute little hoodie suitable for a newborn - ? months. I'd like to try it on the twins to see how big or small it is for them. They are now seven months old. The pattern and tutorial is here. Super cute projects! 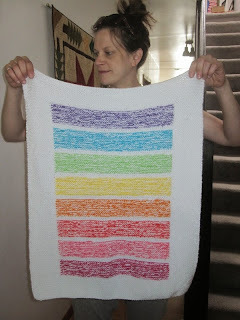 Love that rainbow blanket! Darling little clothes you have been busy making for all your dear Grandchildren - did I read you now have 5? I love the stroller blanket. I am sure it will become a favorite. Thanks for the link to the hoodie pattern.